Due to the hormonal changes particularly with the increase in progesterone that occurs during the menstrual cycle, some women experience oral changes that can include red swollen gums, swollen salivary glands, or bleeding gums. Menstruation gingivitis usually occurs a day or two before the start of the period and clears up shortly after the period has started. Research shows that hormonal highs and lows can impact your oral health, big time. 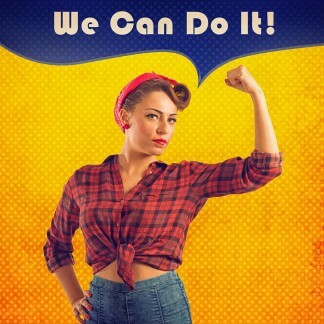 In fact, a study by researchers reports that although women tend to maintain better health practices than guys do, they were are at greater risk for other problems because of our hormones, and these issues can put us at risk for more serious health issues such as heart disease, miscarriage, bone loss, and more. In some women menstruation also causes heightened sensitivity to pain and, in some instances, local anaesthetics may not be as effective and more may need to be used. Also women have a higher tendency to develop a dry socket after an extraction. Women who take certain oral contraceptives that contain progesterone might experience inflamed gum tissues due to the body’s reaction to the toxins/poisons produced from plaque. The most profound changes in the gums are seen in the first few months after starting the birth control pills. Newer birth control pills, however, have lower concentrations of the hormone, which lessen the inflammatory response of the gums to dental plaque. 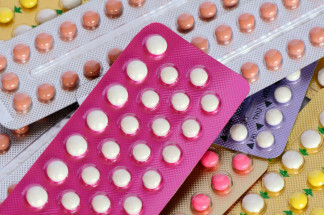 There is another reason for telling your dentist if you are taking oral contraceptives. Certain medicines, such as antibiotics, that your dentist might prescribe can lower the effectiveness of oral contraceptives. Always tell your dentist the names and dosages of all the medicines you are taking. He or she needs to know this information when planning your course of treatment, especially if prescribing medicines is a part of your care. It also appears that there is evidence that the use of birth control pills can lead to decreased levels of natural oestrogen. Decreased levels of natural oestrogen are associated with another oral disorder, one affecting the temporomandibular joint. The temporomandibular joint connects your jaw to the side of your head. Temporomandibular disorders result from problems with the jaw, jaw joint, and surrounding muscles that control chewing and moving the jaw. Careful assessment of the temporomandibular joint, the bite and the muscles needs to be done by the dentist. Sometimes the treatment may be simple, but other times appliances may need to be made such as an occlusal splint.